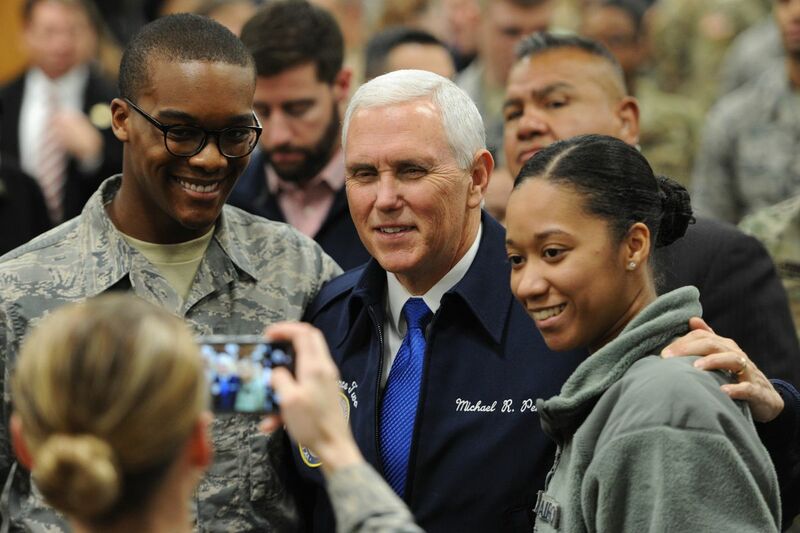 Vice President Mike Pence told a crowd of soldiers and airmen at Joint Base Elmendorf-Richardson on Sunday that the Trump administration was working to improve health care and benefits for service members. 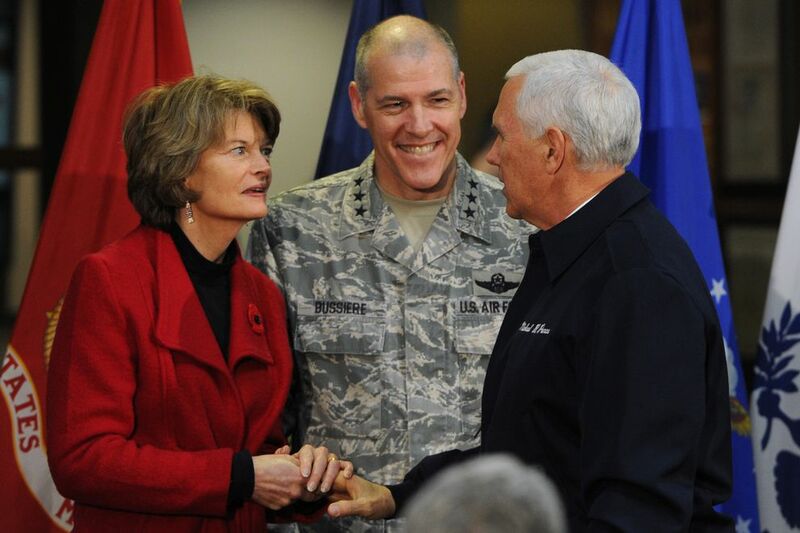 Pence stopped in Anchorage for a brief on-base appearance as his plane was refueling en route to Asia for a weeklong trip that will include stops in Japan, Australia and Papua New Guinea. 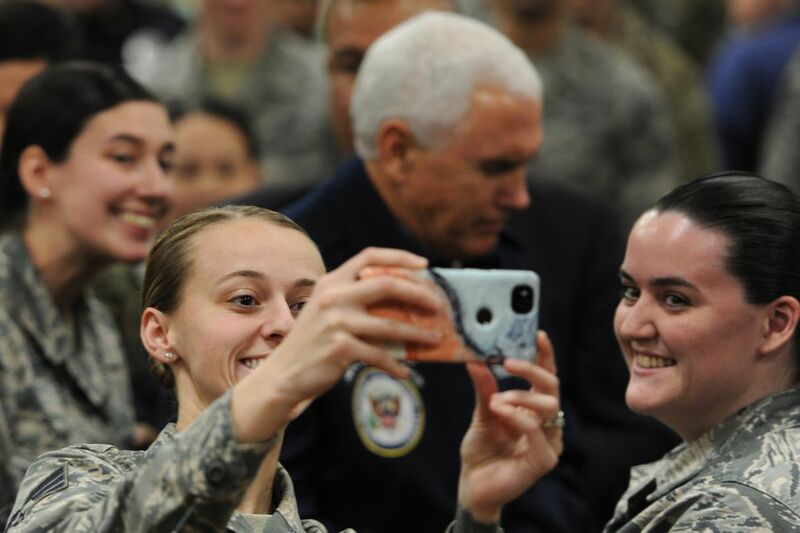 "No matter the passage of time, we will never forget the service and sacrifice of our men and women in the armed forces," Pence told the crowd gathered at JBER. 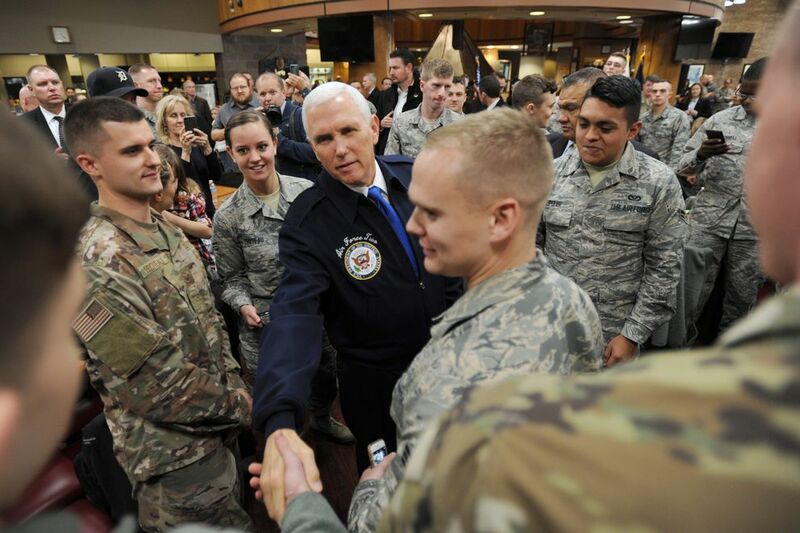 Pence stressed changes to the Department of Veterans Affairs meant to give veterans more choice in health care. 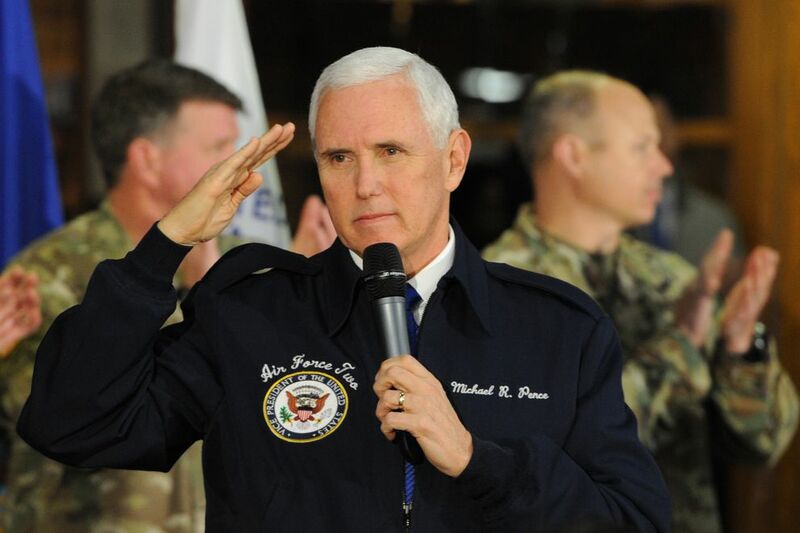 "We are once again giving our veterans across this country access to the world-class, real-time health care you earned in the uniform for the United States," he said.